The Honolulu Ki Society is led by a world-class team of instructors who have dedicated their lives to this training. Assistant Ki Lecturer, Chuden in Ki Development, Sandan in Shin Shin Toitsu Aikido, teaching Ki and Aikido for over 15 years. Practice of mind-body coordination and discipline in martial arts include Shorin-Ryu Karate, Wing Chun Do, and most recently Ki-Aikido. Trained under Seichi Tabata Sensei in Honolulu for 18 years. Have been with my loving wife for nearly 40 years and have two sons out of college who are passionate about music and anime. Currently, member of executive team running a native Hawaiian organization that performs IT services, R&D and light manufacturing under Federal contracts. Other interests include, listening to audio books and walking my lovable dog. 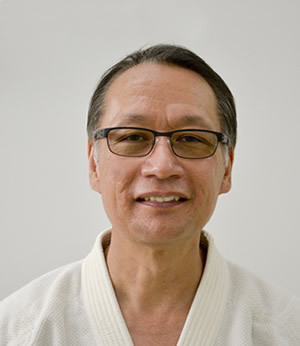 Assistant Ki Lecturer, Shoden in Ki Development, Shin Shin Toitsu Aikido Nidan, teaching over 10 years. Born in 1959 grew up in Torrance, California until 1979. She grew up in a family active in Kendo and Naginata. She attended University of Southern California until going on vacation to Hawaii decided to move. 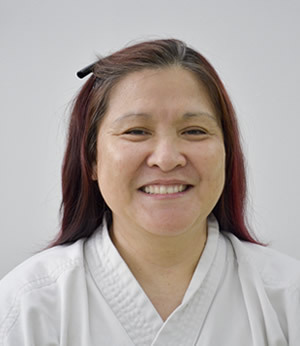 She started Shin Shin Toitsu Aikido when her two children started at 4 and 6 years old. She was homeschooling her children and needed a physical activity that would teach her children mental discipline as well as physical conditioning. She was looking for a martial art that they could all participate together. All three now are instructors at the dojo. Her favorite area of Shin Shin Toitsu Aikido is working with young children. She also has a passion for Kyudo, golfing, and bowling. 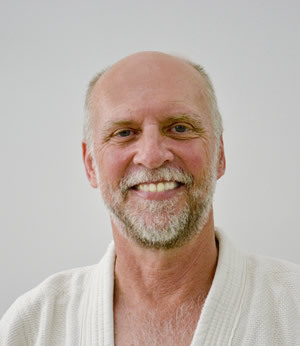 Associate Ki Lecturer, Shoden in Ki Development, Shin Shin Toitsu Aikido 4th Dan, teaching for over 15 years. Began his training in Oregon under Calvin Tabata Sensei and continued under Seichi Tabata Sensei when he moved to Honolulu with his family. He is the Sales Manager for a local window and door manufacturer. He coached club and high school soccer for over 20 years. Besides Shin Shin Toitsu Aikido and soccer, other interests include fly fishing and skiing. He and his wife have three grown children and a grandchild.